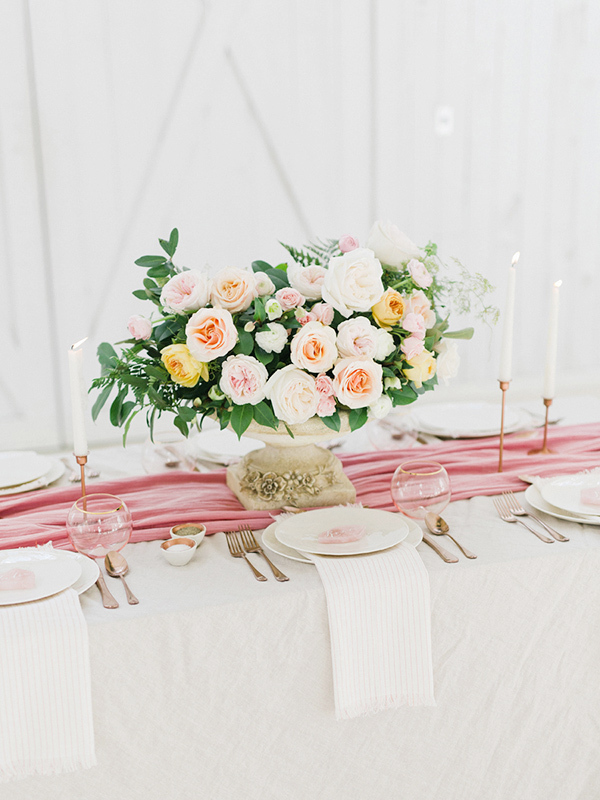 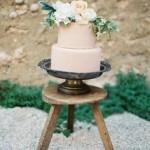 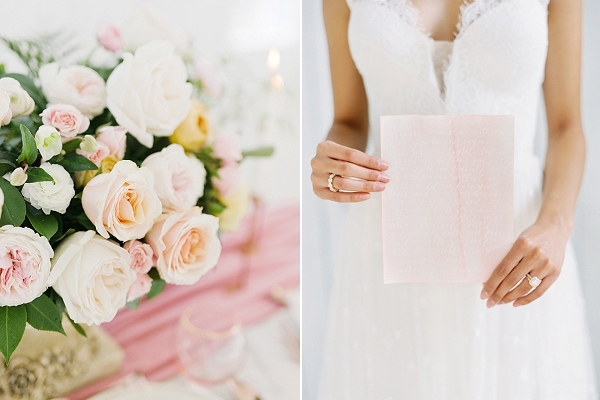 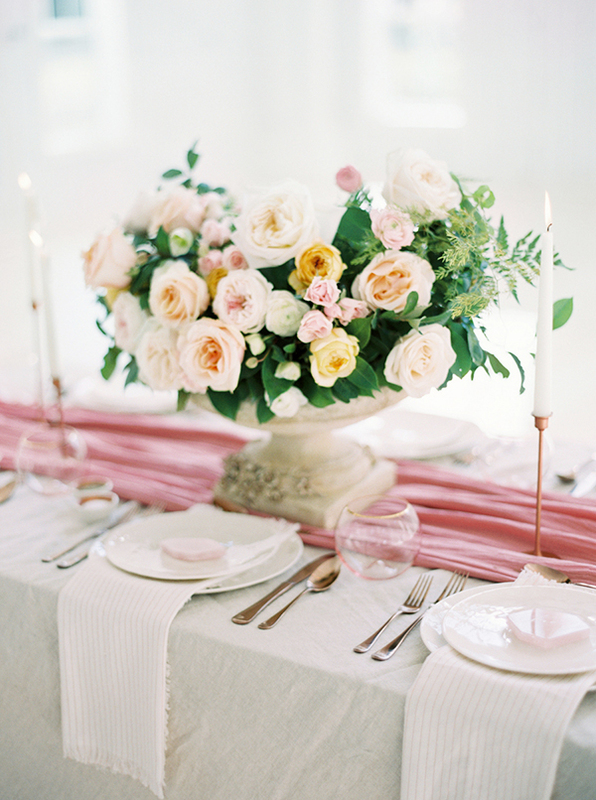 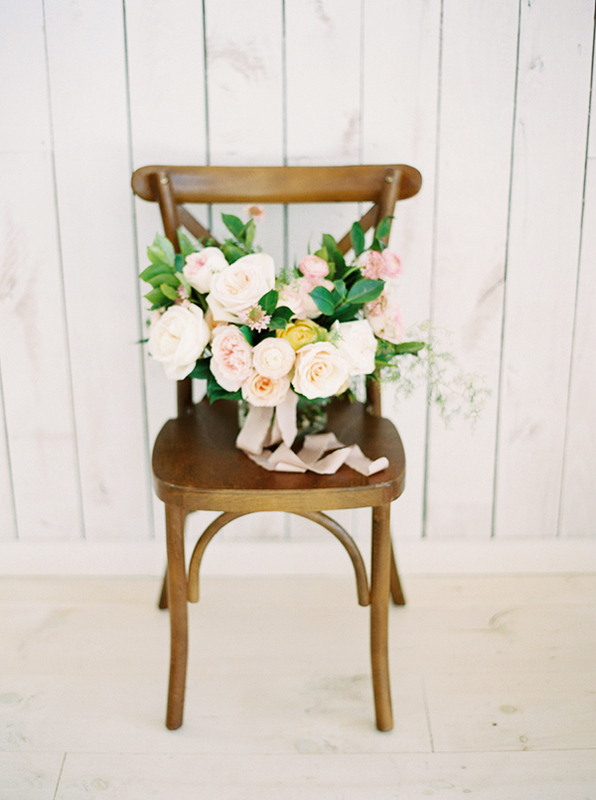 We’d be remiss not to include one of Pantone’s colours of the year- Rose Quartz- in our wedding colour series. 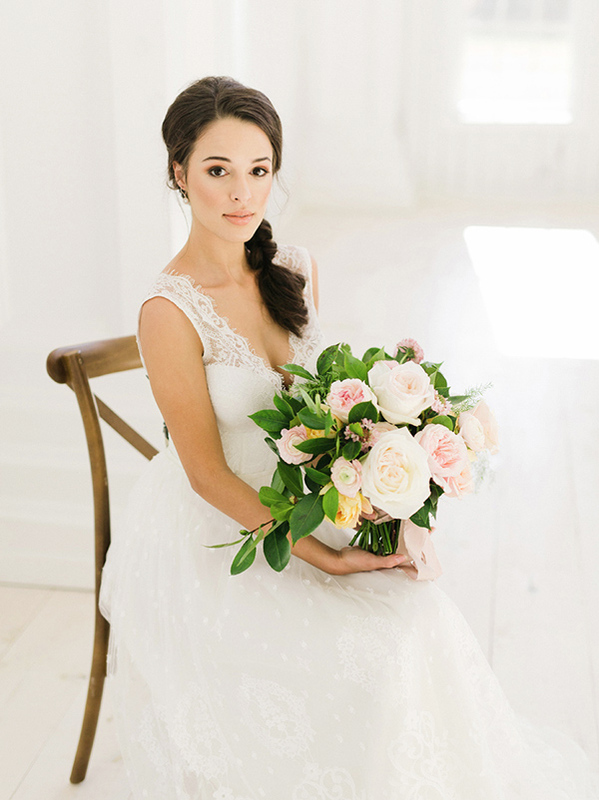 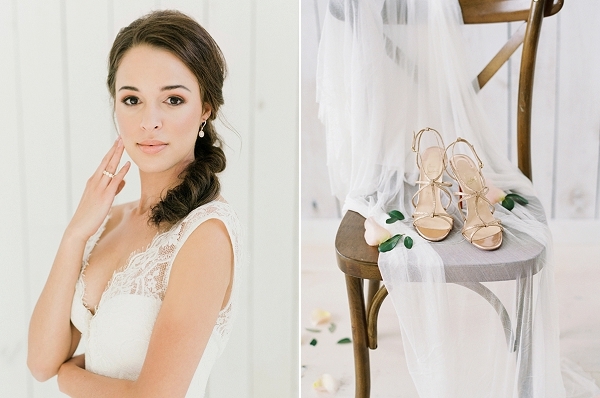 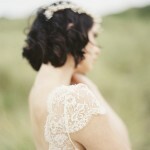 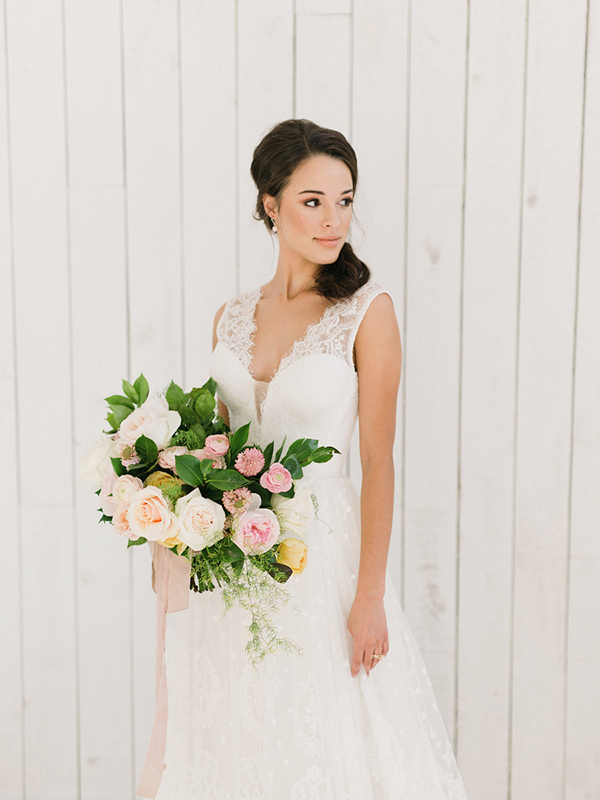 This delicate, feminine hue has long been a favourite among brides and it’s showcased here to stunning effect in a romantic photoshoot, styled by Lindsey Zamora and captured beautifully by Tenth & Grace. 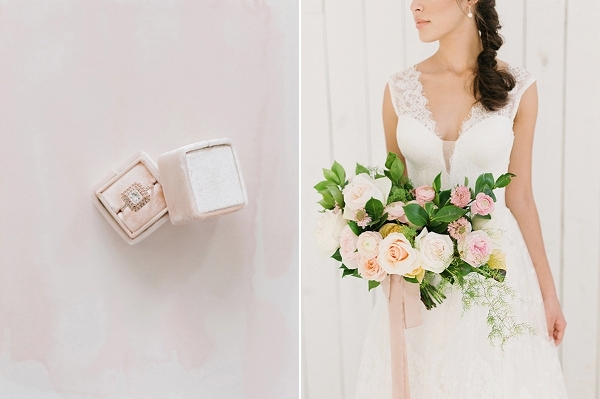 Proving it’s versatility, this soft, sweet shade was incorporated flawlessly throughout the details, setting a tone of graceful sophistication. 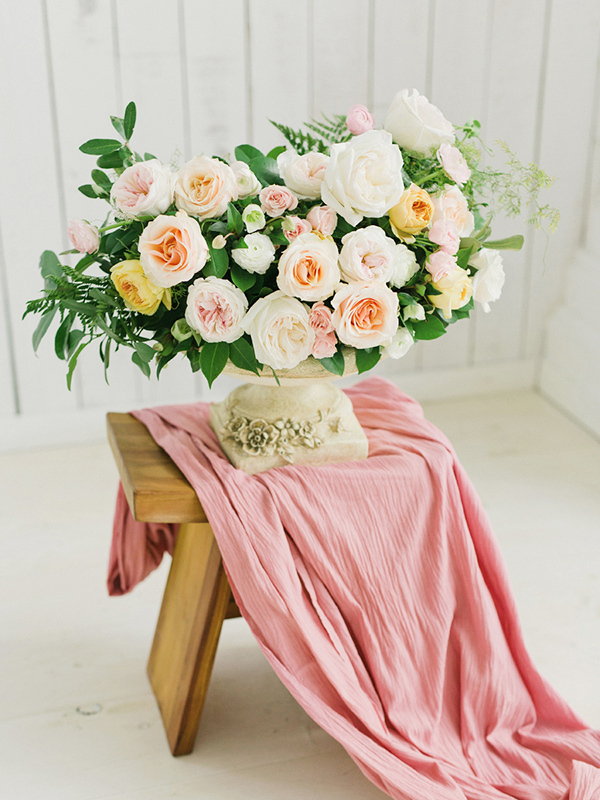 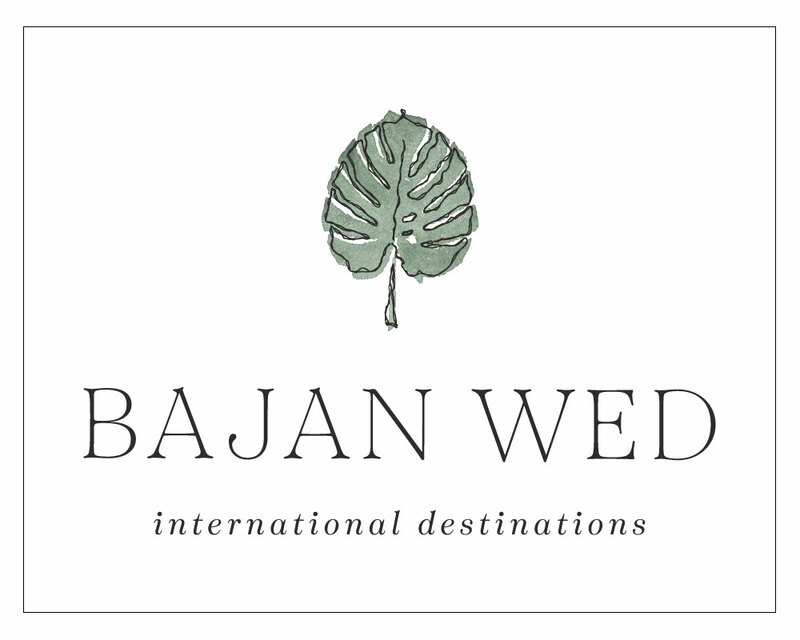 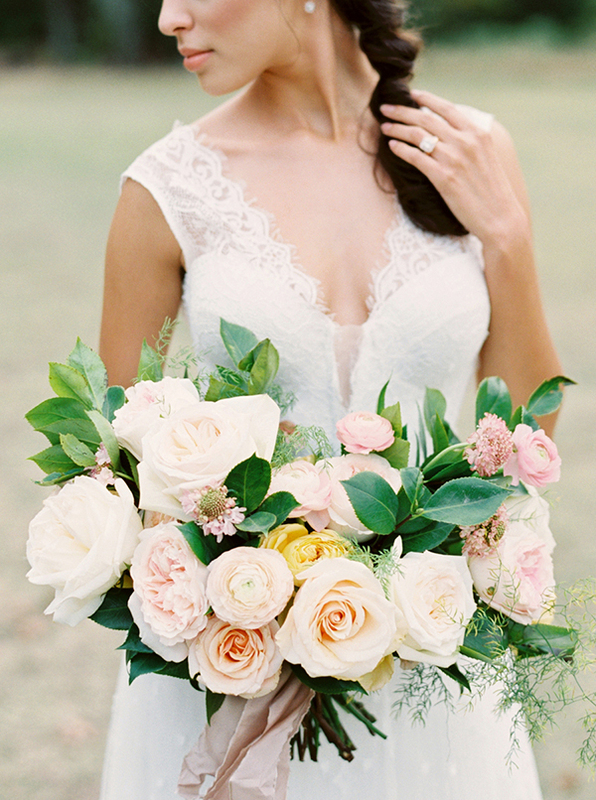 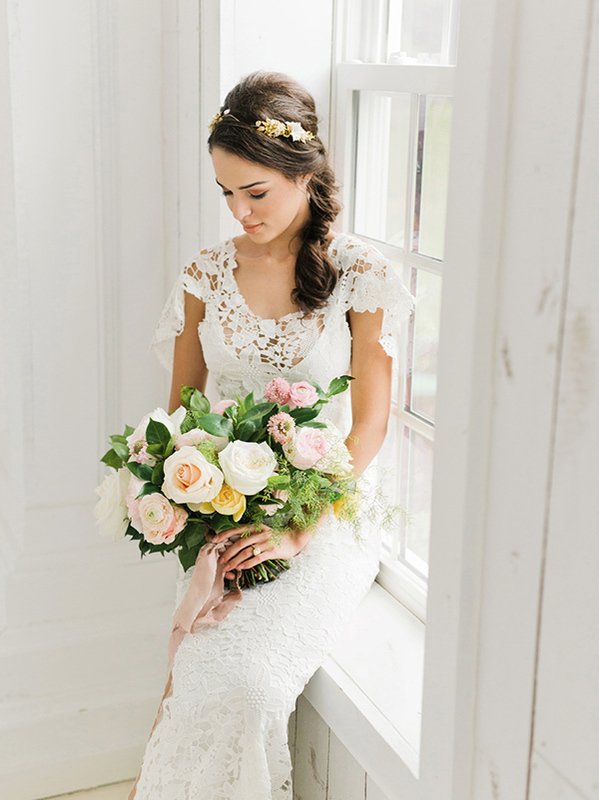 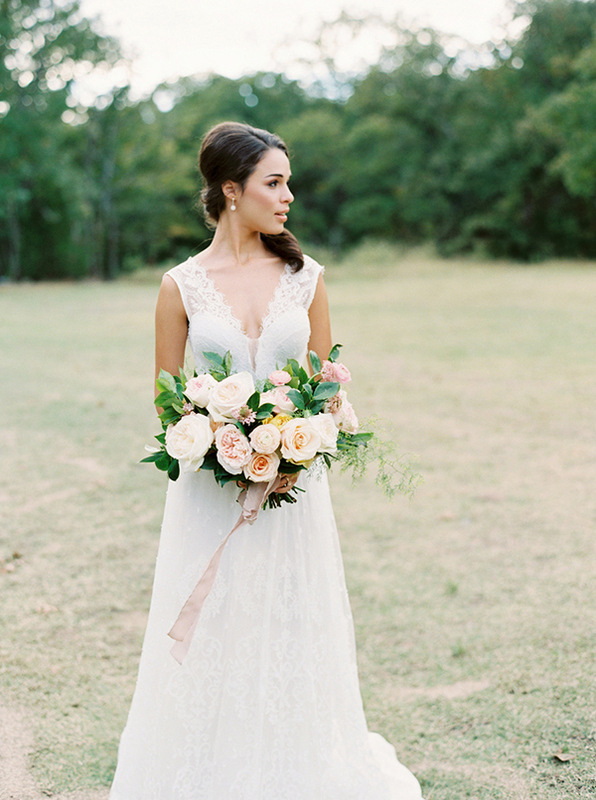 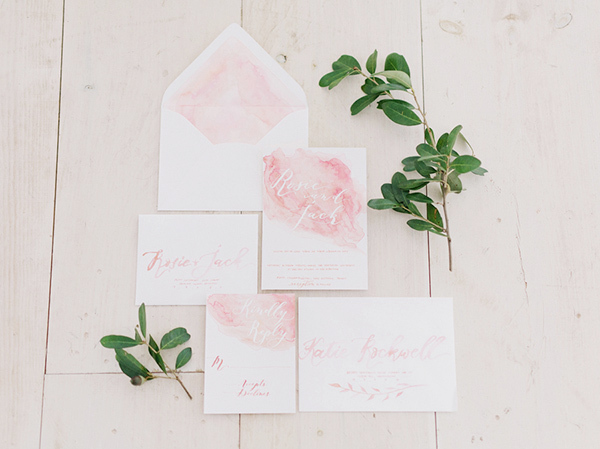 With pretty blooms by Everly Alaine Florals, delicate paper goods by Seniman Calligraphy and classic gowns from Flora & Lane and Olia Zavozina, this fabulous vision is all the inspiration you need for an utterly charming wedding day! 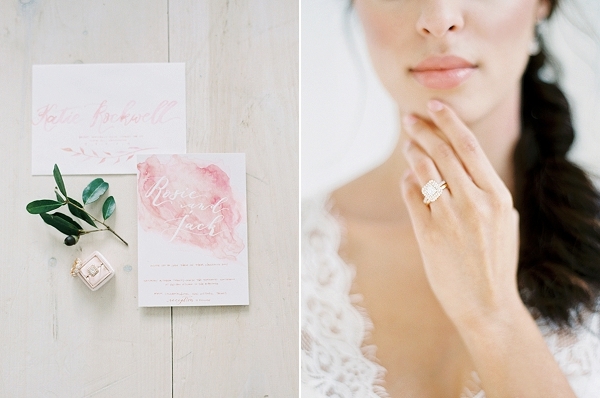 From Tenth & Grace: This editorial was inspired by rose quartz – both the color and the gemstone. 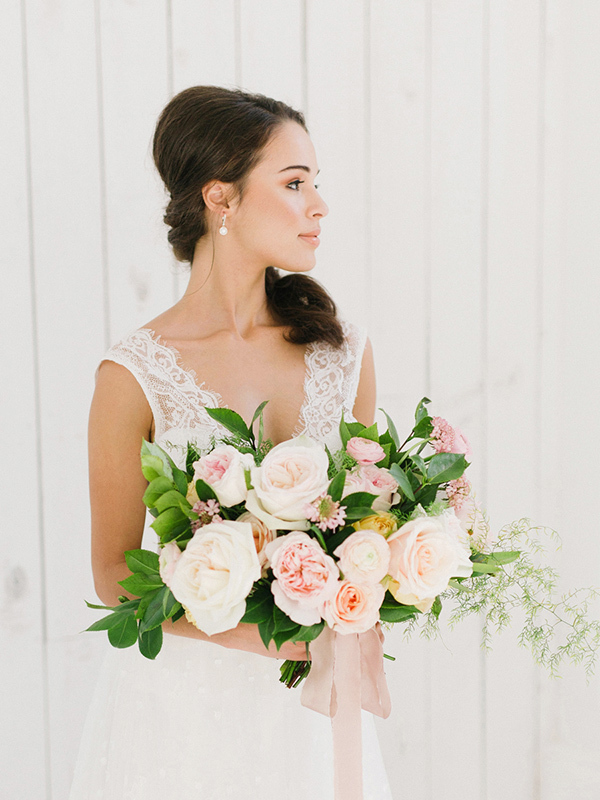 In collaboration with stylist Lindsey Zamora and Leslie of Everly Alaine Florals, we aimed to weave rose quartz through every aspect of the shoot, including the makeup, florals and invitation suite. 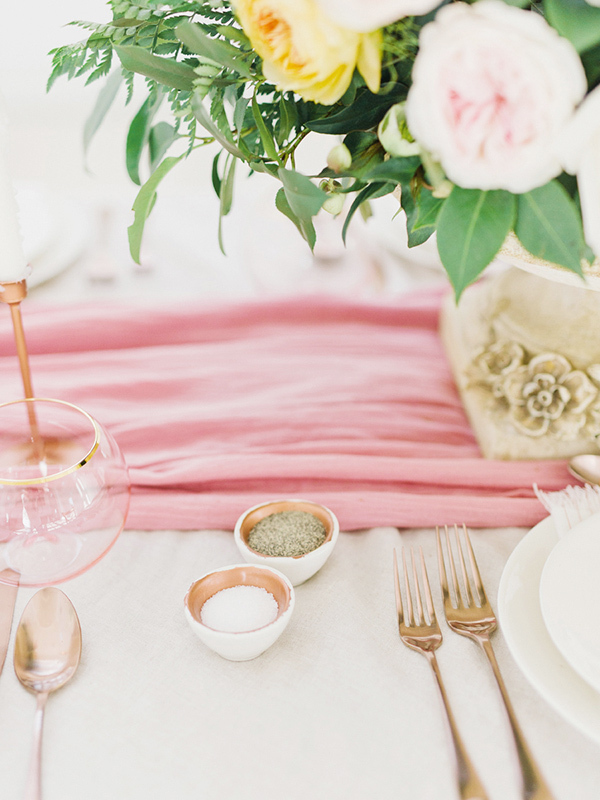 It just so happened that Pantone announced that rose quartz would be one of the colors of the year several months later, so our timing was incredibly good! 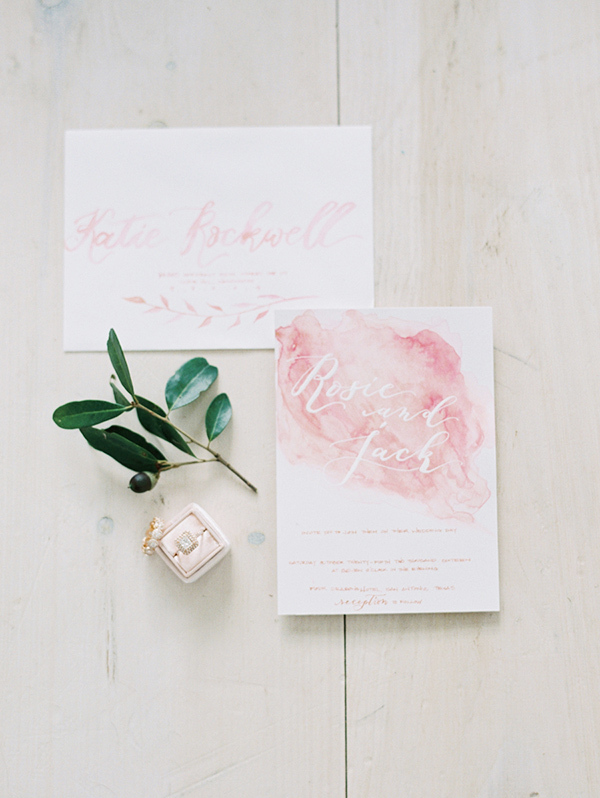 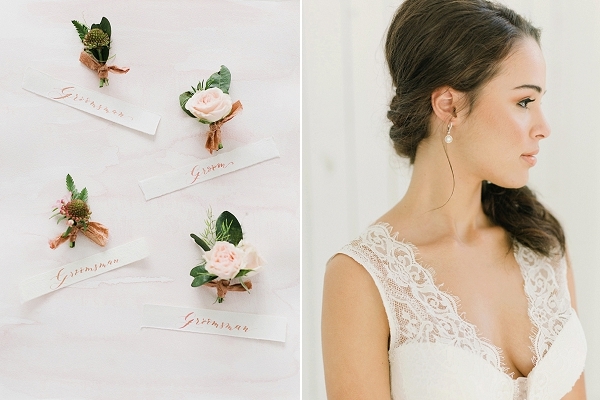 Ruth with Seniman Calligraphy created a beautiful watercolor invitation suite and Tracy Melton Artistry used subtle rose-colored makeup to tie the whole shoot together. 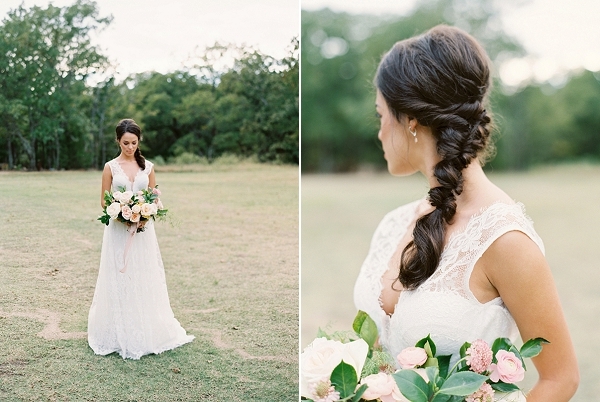 And of course the White Sparrow Barn outside Dallas was the perfect backdrop. 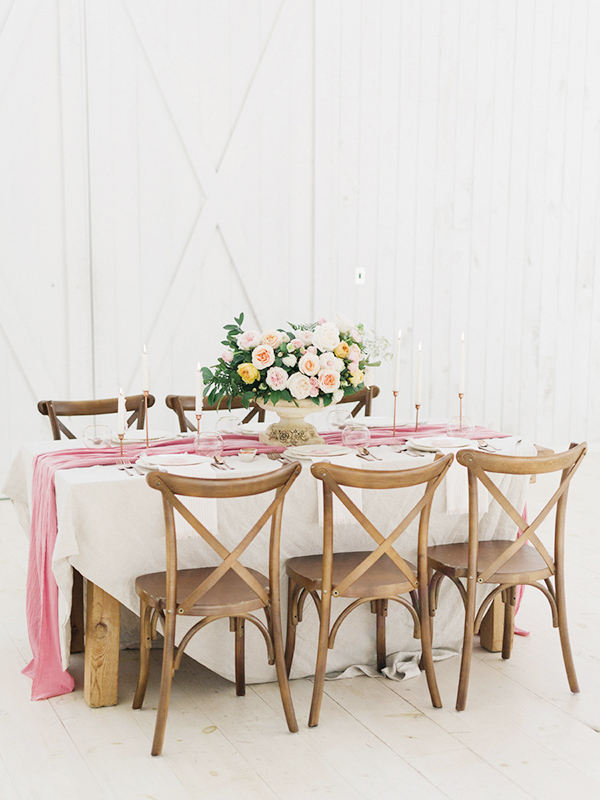 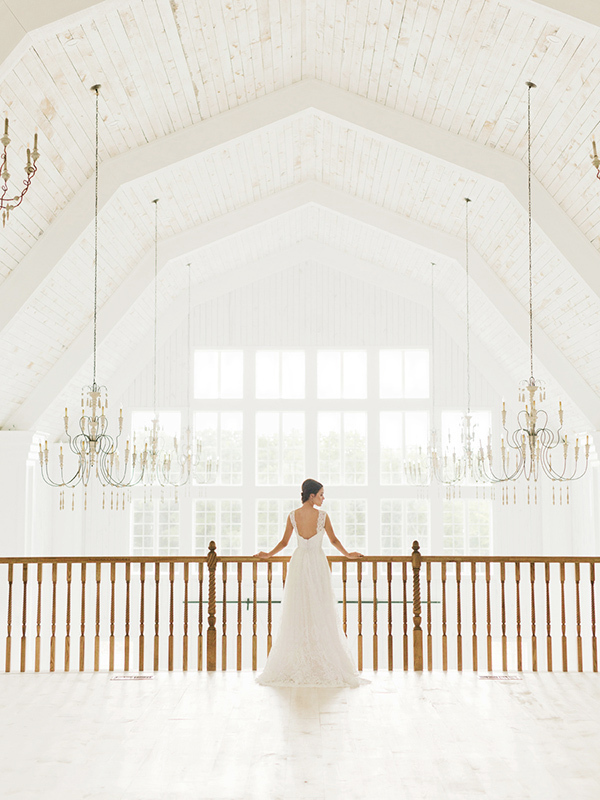 This gorgeous all-white barn is such a stunning location, it was a joy to shoot there!